Food production is a global issue! Most of us have a specific opinion of what the term “self-sufficiency” means. It is largely influenced of how the word is used and discussed in media. When the Norwegian Institute for Agricultural Economics Research (NILF, now: Norwegian Institute for Bio-Economy (NIBIO)) reports that “Norway has a historically low self-sufficiency “and Nils T. Bjørke in Norwegian Farmers’ Union (www.bondelaget.no) follow up with the assertion that “Norway is the poorest in class” and concludes that we can’t trust that the rest of world will produce our food, then “self-sufficiency” get a national security significance. “Self-sufficiency” is necessary for food supply in emergency situations. The underlying message is of course the need for more subsidies for increased food production in agriculture, to ensure that we should not have to starve to death if imports of food had to stop. Supply of food in an emergency situation is far more complex than food production during normal situations. Our food production in water as well as on land is largely dependent on a wide range of imported key items. The food also has to reach the consumer, and the consumer needs resources for purchasing the food. Spare parts for the farmer’s tractors, the fisherman’s fishing gear or carriers truck will in this context be just as crucial as our food production capability under normal conditions. To create the perception that food production alone will secure food security is deceiving the people. For large parts of Norway it would probably be easier to get food from Sweden, Finland, Russia or Britain than it would be to get it from the cereal crops in the eastern part of the country. The world faces a giant challenge of providing sufficient food for a growing population. By 2050, we have more than 9 billion people to feed, and FAO estimates that we will need about 70% more food than we currently produce. It is immoral and unrealistic to think that this will only be a problem for the poor in Asia and Africa. We must be prepared for major international instability and very large and uncontrollable migrations in case of severe global food shortage. The world faces a giant challenge of providing sufficient food for a growing population. By 2050, we have more than 9 billion people to feed, and FAO estimates that we will need about 70% more food than we currently produce. It is immoral and unrealistic to think that this will only be a problem for the poor in Asia and Africa. We must be prepared for major international instability and very large and uncontrollable migrations in case of severe global food shortage. Producing food is therefore much more of a global issue than a national self-centred exercise. For too long time, the Norwegian Farmers’ Union has decided what food is and how good – or rather bad – we are on self-sufficiency. They completely overlook the fact that Norwegian fishermen and fish farmers every day brings on land enough fish and seafood to cover the protein requirements of 40 million people. Farmers’ Association equates “self-sufficiency ratio” as an indicator for our ability to feed the population during crises. This is nonsence! “Self-sufficiency ratio” is calculated as: 100 x (calories traded in wholesale and produced in Norway) / (calories traded in wholesale in total). Self-sufficiency ratio has therefore nothing to do with our ability to feed its own population. It only states consumer preferences for foods in a situation of great abundance and economic prosperity. Price is obviously an element in this preference. Norwegian agricultural products are heavily subsidized. Thus, they receive a clear advantage compared to fish and imported food. It is tempting to believe that the choice of terms and confusion of the terms “self-sufficiency” and “self-feeding-capability” is a conscious choice by agricultural farmer’s organizations’ side. The picture will be terribly askew. We are still self-sufficient in for example cheese if we imported French cheeses and exports equivalent quantity Norwegian cheese. In theory we could just eaten Norwegian cheese and been “self-sufficient”, but Norwegian consumers want some variation and thus we import camembert and exports Jarlsberg. Also for fruit: where are we first self-contained – as Farmers’ Association sees it – if we just eat Norwegian apples in the autumn. Apparently self-sufficiency is “destroyed” by the oranges that are found in the stores throughout the year. These examples are of course a bit quirky, but illustrate the point: It gives a completely wrong picture if Norway’s export of food is excluded when the self-sufficiency rate is calculated. It is also wrong to disregard fish, both fish from recreational fishing and fish exports. The picture will be terribly askew. We are still self-sufficient in for example cheese if we imported French cheeses and exports equivalent quantity Norwegian cheese. In theory we could just eaten Norwegian cheese and been “self-sufficient”, but Norwegian consumers want some variation and thus we import camembert and exports Jarlsberg. Also for fruit: where are we first self-contained – as Farmers’ Association sees it – if we just eat Norwegian apples in the autumn. Apparently self-sufficiency is “destroyed” by the oranges that are found in the stores throughout the year. These examples are of course a bit quirky, but illustrate the point: It gives a completely wrong picture if Norway’s export of food is excluded when the self-sufficiency rate is calculated. It is also wrong to disregard fish, both fish from recreational fishing and fish exports. If you buy smoked salmon in the store, you could get Norwegian salmon smoked in Poland. Since exports are not included, Norwegian salmon processes abroad is calculated as imported food and will have a negative effect in relation to the “self-sufficiency”. Imported lamb carcasses from New Zealand, which is salted and dried in Norway will be neutral in relation to the “Self-sufficiency ratio” – we “produce” as many Calories as we import. Norway is the world’s second largest exporter of seafood, surpassed only by China. Norwegian fisheries and aquaculture industry brings on land yearly approximately 3.9 million tons of fish and seafood. The numbers are so large that it is difficult to understand the magnitude of them, but I’ll make an attempt. According to FAO (UN Food, Agriculture, Forestry and Fisheries), the daily protein requirements for humans is around 0.8 grams per kilogram of body weight. Thus, it takes around 280 tons of protein per day to ensure the building blocks of each human body in Norway. 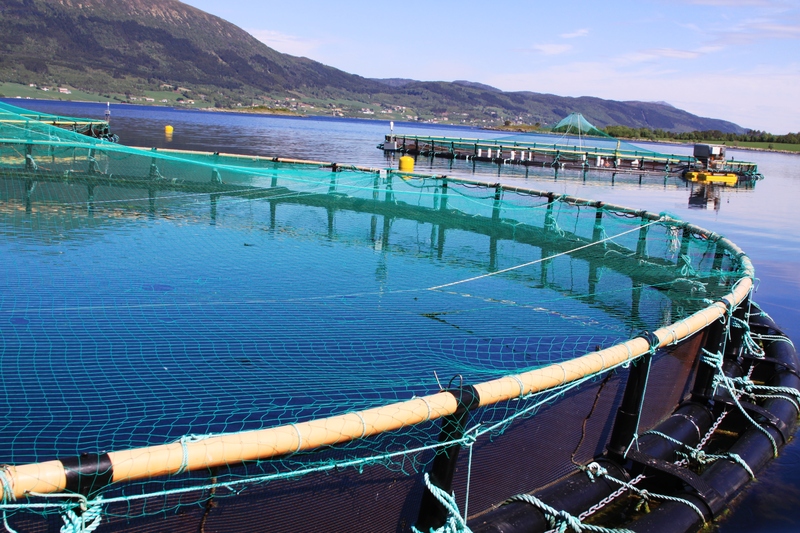 Daily, Norwegian fisheries and aquaculture brings on land more than 2100 tons of protein. Not only enough to our five million inhabitants, but to almost 40 million people! Seafood proteins are also of very high quality. In addition to this commercial catches, anglers and tourist fishermen catch 60-70 000 tons of fish annually. This quantity is the same magnitude as Norwegian cattle production. This is food that apparently does not come into account for self-sufficiency is calculated. No, we do not live of marine proteins alone. A balanced and varied diet contains imported and produced food from both land and water. But while the world gets ever more mouths to feed, the food production on land soon reached their maximum limits. This means that further growth in food production must come in the blue field. But even here caution is required. Fisheries are highly utilized, and we have to think of other species and harvest lower in the food web. 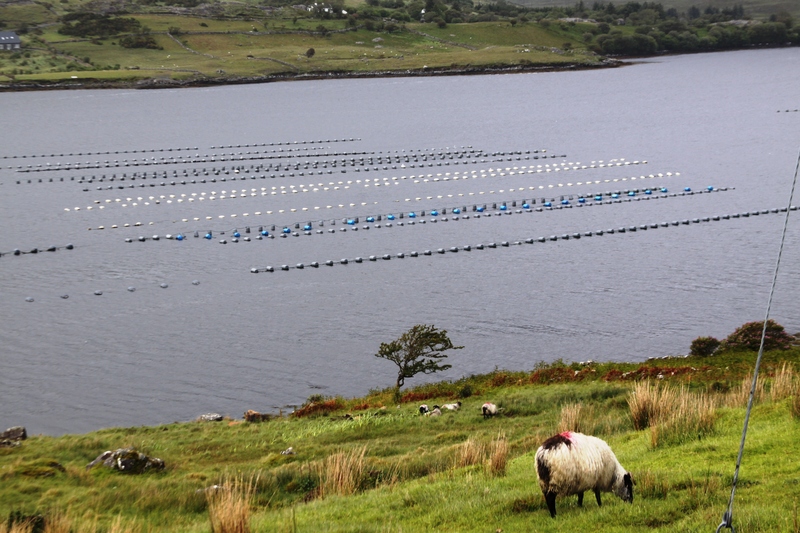 The aquaculture industry has also its sustainability challenges, but the growth potential is enormous. Kelp, shells and fish low in the marine food web should constitute the real increase in world aquaculture production. Norway, with our long coastline and special fjord landscape has large benefits. Just possibilities on mussels are enormous – using controlled upwelling of nutrient rich seawater more than1 million tons of mussels can be produced annually in just two thousandths of the Norwegian coastal area. The solutions are there. In Norway, we can begin to bury the concept of “self-sufficiency”. It is a silly concept that doesn’t say anything. However, it is important to realize that food production is a global responsibility. That Norway as all other countries is obliged to contribute according to their ability, and that the Norwegian ability is in the sea. Previous Post:“Is there any hope for Chile in the next two years”? Next Post:Continued strong growth in Norwegian salmon production?